You are here: Home / Health / Forward Neck Correction! When I was a young dancer, my British ballet mistress told me I danced like a chicken. A far cry from the swan I longed to be! The problem was not with my arms or back but with my neck. I had serious forward head, that eager looking posture where your thrust your head forward from your body. 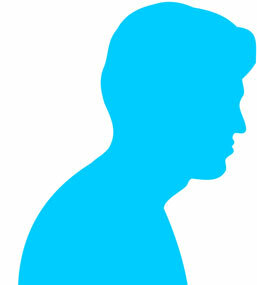 Not only is it unattractive, especially in profile, it can be a pain in the neck. Here are two simple ways to deal with this common postural problem. First: Stand at a wall with your heels, booty, shoulder blades, and back of your head against the wall. Now adjust your skull so your eyes are looking straight forward without having to move your eyeballs downward; think of the skull pivoting backward on the axis of the spine to do this.This might feel a bit weird, but should give you a sense of how forward your head actually is. Stay there for about 30 seconds and think about lengthening your spine and opening your chest. Learn my second suggestion when you read more. Second: The muscles at the base of the skull become really tight when your head thrusts forward. To train those muscles to lengthen and strengthen the opposite muscle group, try this simple exercise we call Nose Nods in the Pilates world. Lie on your back with your knees bent and feet flat on the floor. Your nose should point directly toward the ceiling. Keeping your neck long, slowly nod your head. The skull should pivot on the neck and your neck shouldn’t move. Think of drawing an arc with your nose, but don’t try to flatten your neck onto the floor. Slowly return your head back to starting position. You should feel a small stretch at the back of your neck and a little muscular work near your throat. Tight pecs can contribute to the problem, so be sure to stretch your chest too. « Can Foods Make You Break Out? The links between your diet and your skin may surprise you!